Zlatan Ibrahimovic admits Paris Saint-Germain’s Champions League clash with Chelsea will not be the same without Jose Mourinho in the dug-out, and has backed the Portuguese to make a swift return to management. The two sides have met in each of the last two seasons, with Mourinho in charge of the Blues on both occasions, but for their third meeting it will be Guus Hiddink who manages the side, having taken over in December. Chelsea remain unbeaten under the Dutchman despite their dire form prior to his arrival, though Ibrahimovic – who worked under Mourinho at Inter – still believes the contest will lose something in the absence of the controversial coach. “I think everybody will miss Mourinho in the game,” the Swedish striker told the Times of Indiaprior to Tuesday’s first-leg clash at the Parc des Princes. “But I believe he will be back soon in football, and if you are a little patient you will soon see him managing another club. The 34-year-old is out of contract at the end of the season and has been linked with various moves, including a return to San Siro with AC Milan, a big-money switch to China and even a Premier League move. And Ibrahimovic did not commit his future to PSG when asked where he will be playing next season, also refusing to rule out the possibility of becoming the latest high-profile player to join a Chinese club. “Exciting, isn’t it? What will happen? 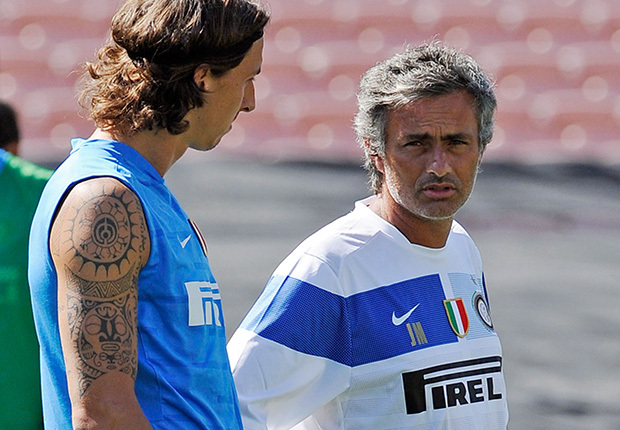 Let’s see what the future has in store for me; day by day, big things will happen,” Ibrahimovic explained.